The ION 5 Light combines a low weight, with the stunning characteristics of its heavier brother ION 5. NOVA launched a new lightweight wing ION 5 Light, an intermediate with high performance (EN/LTF B). It features outstanding glide, precise and agile handling and an exceptional climbing performance. Its light weight and forthcoming launch behaviour make the ION 5 Light an excellent companion both in the air and on the ground. A light, high-tech wing. Structurally optimised slots in the wing’s interior, high-quality lightweight materials and slim risers allowed a weight reduction of 800 g compared to the ION 5. The canopy construction uses mainly the latest generation of the Porcher Skytex 27 light cloth. The double-sided coating of this cloth provides the same proven UV resistance as current standard cloths that are significantly heavier. Performance included. On launch the lightweight wing impresses with its good-natured take off behaviour. 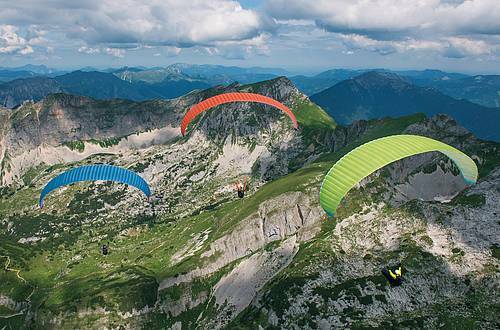 In flight, the precise and agile handling allows an easy entry into thermals and facilitates an intuitive flying style. The canopy provides clear feedback that is easy to understand, making it a pleasant companion for beginner and experienced pilots alike. 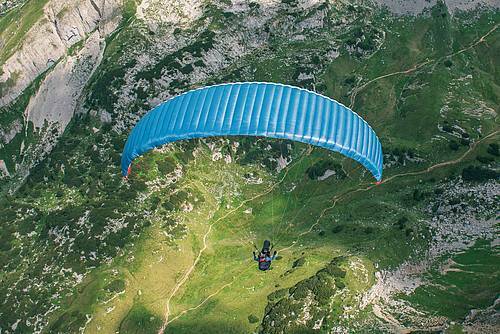 The performance in glide across the entire speed-range is well above its predecessor the ION 4. It is the combination of these features that make the ION 5 Light a good choice for long but relaxed cross-country flights. One wing for all occasions. 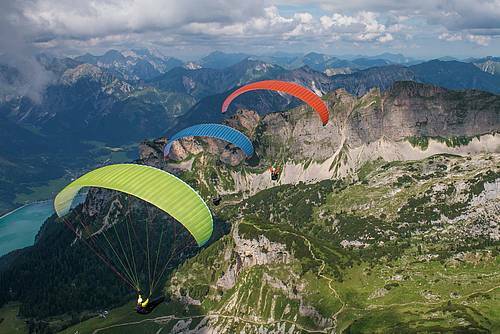 The ION 5 Light is a glider for all occasions: whether it is a long thermal flight, a hike & fly adventure or simply soaring with friends. The ION 5 Light supports you in achieving your goals whilst giving you the peace of mind of a wing with a high degree of passive safety. For more information of ION 5 Light, please visit our DUTY FREE shop. For the price of ION 5 Light, please contact us.